Panoxyl Acne is advertised to gently remove dirt and excess oil, and to cleanse and unclog pores, which is the same thing that most acne cleansers claim to do, but Panoxyl is affordable and convenient to use. 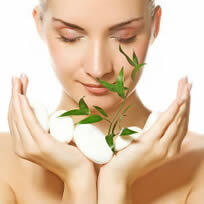 If Panoxyl were more effective than more expensive alternatives, it would be a great addition to your skincare regimen. We need to look at the ingredients and consumer reviews before we can figure that out. 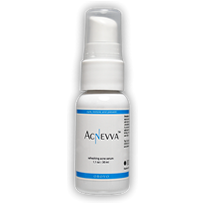 Panoxyl Acne is available in the form of a bar (similar to that of a bar of soap) a foam, or a topical gel. As well as coming in 2 different forms, it is also available in 2 different concentrates of Benzoyl Peroxide, 5 and 10%. Benzoyl Peroxide is found in many acne treatments, but studies have shown that it doesn’t necessarily get more effective when used in higher dosages. 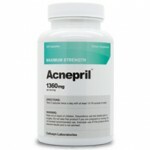 This chemical is a very strong acne fighter, but it has been known to kill both good and bad bacteria. It is so strong that it is too harsh for the sensitive skin of the face. With a lengthy list of possible side effects; redness, burning, itching, peeling, and possible swelling, Benzoyl Peroxide should be used, if at all, with extreme caution. If you are looking for a last minute fix to a current acne breakout, Panoxyl might be helpful, but we wouldn’t recommend using it on a daily basis. Panoxyl is strong enough to kill your current acne, however with the use of benzoyl peroxide, not only will it fight off your acne, it will also dry out your skin and leave behind other side effects. My son has severe acne on his face from puberty. After graduating high school he joined the Marines. He spent 4 years in the corp and came home with acne. I bought him one bar of Panoxyl and told him to try using it twice a day to start. He said that was a bit harsh on his face. then used it once a day with his daily shower. Before the first bar was used up, his acne was gone and gone forever. It never returned even after he stopped using this soap. I couldn’t recomend this product any higher. This is the first product anyone with acne should use. The rest of them may be un-neccessary. 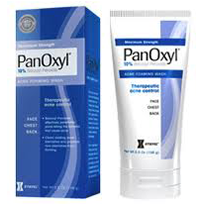 Panoxyl was touted on Dr. Oz for cleansing the skins to slough off dead skin cells and makeup. I don’t nor never have had acne. Should I be using this product and if so, is once a day ok? My skin is normal to dry.